So happy it’s Saturday! I made Pad Mama with fish balls ( we call look-chin in Thai 😉 ) and some friends said that looked good, but I don’t eat meat. I said not to worry because most of the food I cook always have alternative ways of making. I told them if you can’t eat meat, try it with tofu, that’s it problems solved! 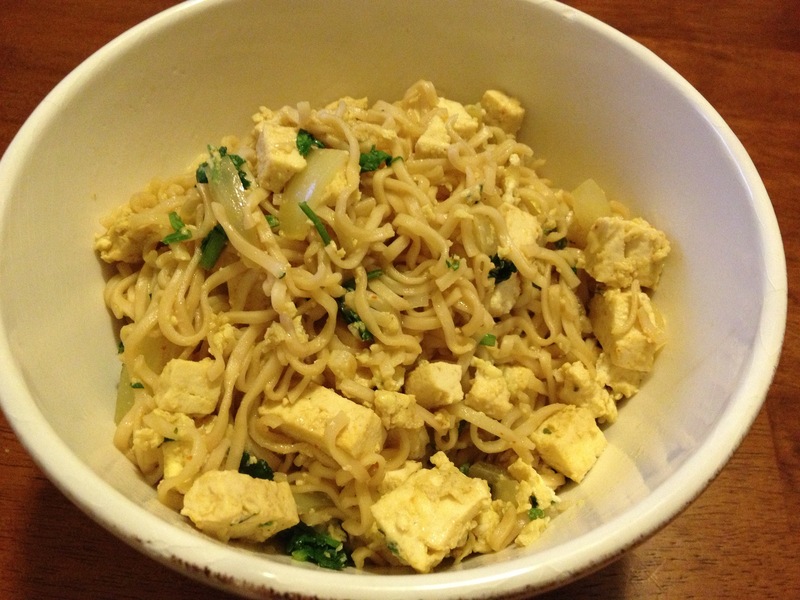 To assure my friends that this dish is also great with tofu, I decided to make it again last night and used Tofu this time. You can check the ingredient I used for the fish balls version here but change from fish balls to tofu — use the firm tofu. 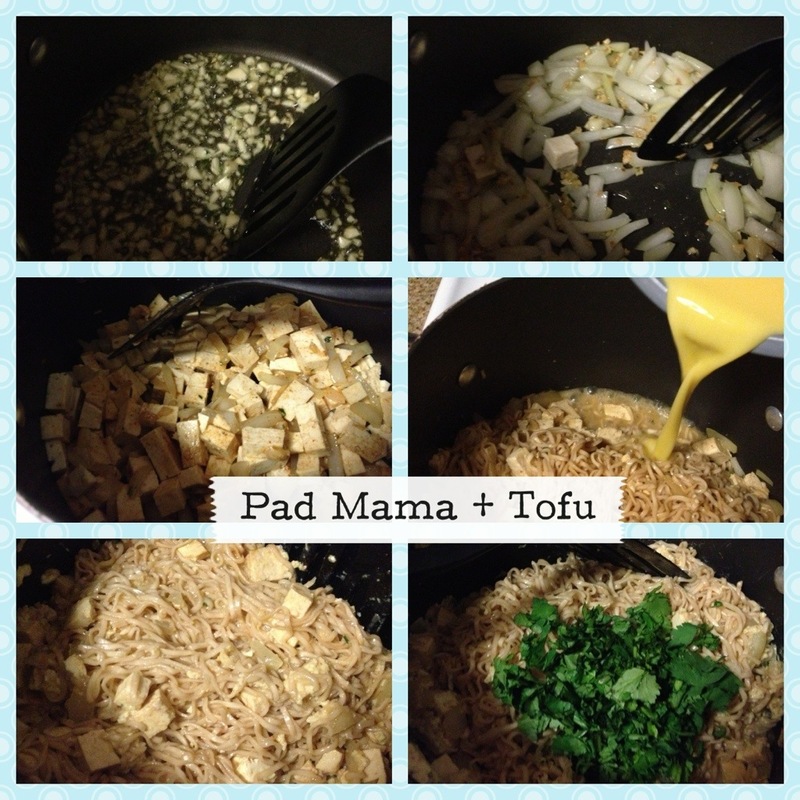 Cut tofu into tiny cubes. Oh, and this time I use 2 eggs, too!